The New Castle County Police Criminal Investigation Unit continues its investigation into the officer involved shooting that left a 28-year-old man dead. 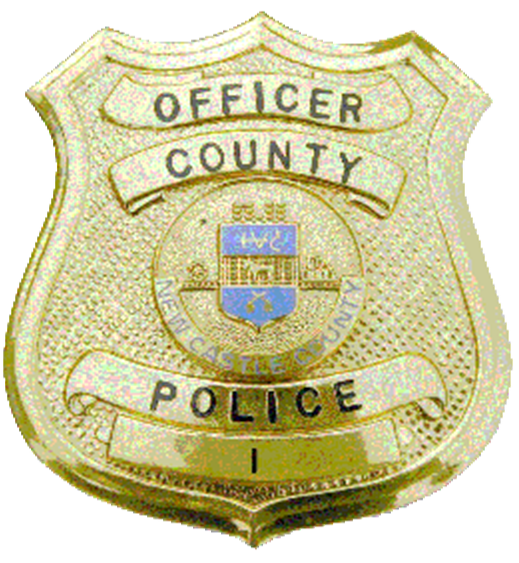 On Wednesday (Mar 29) at about 7:45 p.m., County Police patrol officers responded to the 100 block of Carriage Way to check for a suspect who was reportedly injured in an officer-involved shooting with Philadelphia Police Department. County Police officers attempted to make contact with the suspect at which time he fled from police. Police chased the suspect on foot to a parked vehicle where he entered the driver’s side and attempted to flee the area. An officer attempted to apprehend the suspect when the suspect engaged in conduct which resulted in the officer discharging the officer’s departmentally issued handgun. The suspect’s vehicle continued a short distance into the Rogers Manor Parkland, where the suspect was located suffering apparent gunshot wounds. Officers immediately rendered medical aid to the suspect. He was transported by ambulance to the Christiana Medical Center where he was pronounced dead. Information and evidence obtained at this stage in the investigation indicate that the suspect in the County Police’s Carriage Way incident is the same suspect who was involved in the Philadelphia Police Department shooting at 56th and Whitby Ave that occurred yesterday (Mar 29) at about 5:30p.m. Separate investigations are currently being conducted by the New Castle County Police Criminal Investigation Unit, the New Castle County Police Professional Standards Unit, the Delaware Department of Justice Office of Civil Rights and Public Trust and the Philadelphia Police Department. The officer, a two year member of the Division of Police, was taken to an area hospital where the officer was treated and released for injuries. As per policy, the officer was placed on paid administrative leave while the investigations are conducted. Please note that the following information is preliminary and subject to change as the investigation continues. PHILADELPHIA-On Wednesday, March 29, 2017, approximately 5:39 P.M., two Philadelphia Police officers on duty and in uniform, responded to a radio assignment, “Person with a gun” at 56th Street and Whitby Avenue. Police Radio provided the suspect’s name, a description, and added that the male was wanted and known to carry guns. The Officers arrived on location and observed the male enter the driver’s seat of a 2016 Dodge Caravan. A 26-year-old female was positioned in the front passenger seat. Unbeknownst to the officers, four children (6 B/M; 2 B/F; 4 B/F; and 2 B/M) were positioned in the rear seating area. The Officers attempted to stop the male from operating the vehicle. However, he accelerated the vehicle in reverse gear, striking Officer #1, who was positioned at the open driver’s door area. Observing the male reaching under the seat, Officer#1 discharged his service pistol, striking the male in the left side. The male drove from the scene with all five occupants, and the suspect vehicle came in contact with a 2003 Dodge Neon, being operated by 23-year-old male who sustained minor injuries. The suspect continued to Island Avenue and Lindbergh Boulevard, where the Caravan was disabled due to the crash damage. The male exited the Dodge Caravan, and stole a 2011 Dodge Avenger that was parked unoccupied with the engine running at 76XX Lindbergh Boulevard. The female adult passenger and the four children entered the stolen Avenger, and the male drove from the scene. Blood was observed inside the Dodge Caravan and area hospitals were checked for the male, with negative results. Officer#1 sustained abrasion/contusions to his right thigh, left elbow, and forehead.